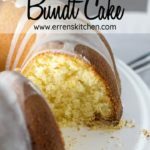 Citrus and Olive Oil Bundt Cake - Moist, light, fluffy, and dairy free! 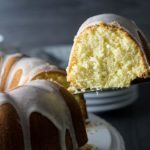 This recipe for Citrus and Olive Oil Bundt Cake makes a simple flavored cake that uses anything from orange to lemon juices and rind for flavor. This delicious cake is completely dairy free; using olive oil keeps this cake really moist and the whipped eggs make it beautifully fluffy. 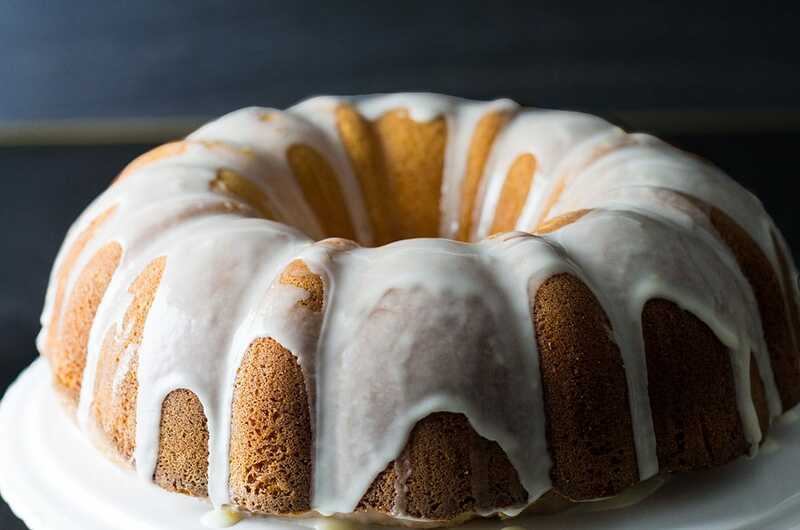 This recipe for Citrus and Olive Oil Bundt Cake makes a simple flavored cake that uses anything from orange to lemon juices and rind for flavor. This delicious cake is completely dairy free; using olive oil keeps this cake really moist and the whipped eggs make it beautifully fluffy . The other day an old friend came to my house for coffee. It’s been ages since I saw her so I thought it would be nice if I baked her a cake. She is lactose intolerant so she doesn’t get to eat cake very often, so I set out to make a dairy free cake. I’ve seen a lot of recipes that use olive oil in place of butter and milk. I’ve had a couple and found them a bit dense so I decided to try whipping the eggs to make it lighter. Let me tell you, I am really pleased with the result. 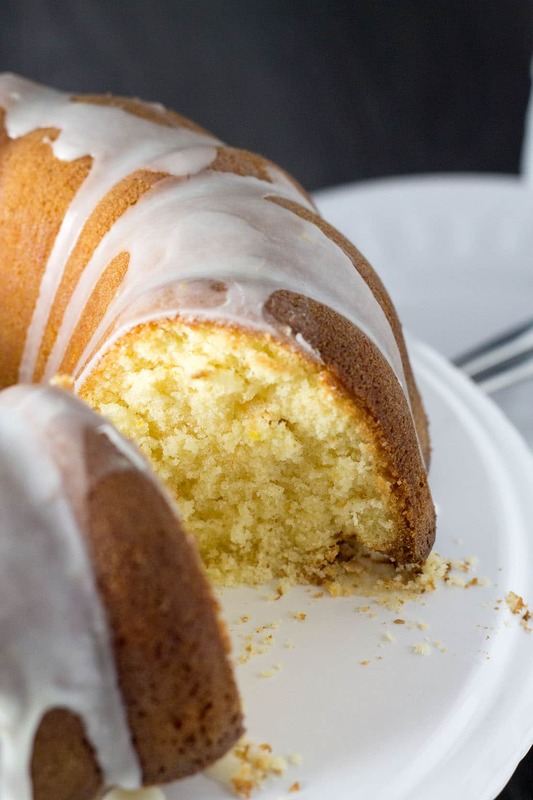 This cake is super light and packed full of citrus flavor. I had oranges, lemons and tangerines on hand so that’s what I used for the juices and for the rind, I used orange and lemon, but I’m guessing lime would work as well. You can use what ever you have on hand, but make sure you use enough rind. The first time I made it, the flavor was a bit flat so I doubled the rind for my second trial run. It turned out perfect. For the glaze, I used a simple mixture of citrus juice and powdered sugar. You don’t miss the milk or butter one bit! If you know someone who can’t eat dairy, this is a perfect solution! My friend was thrilled with it, so if you know someone who can’t have dairy products, give them a treat with this fabulous cake. Generously grease a 10 cup bundt pan. Place the sugar, eggs and zest in a bowl and whisk (about 8-10 minutes) until thick and pale. Add the juice and olive oil until combined. Add the flour, salt and baking powder and mix until just combined (do not over mix). Bake 35-40 minutes or until a cake tester comes out clean. Place on a cooling rack for 5 minutes until carefully turning out onto the rack to cool completely. 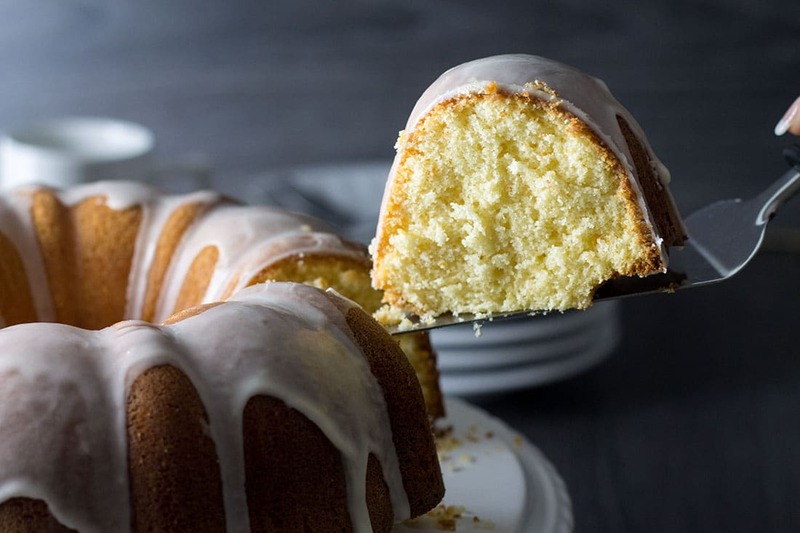 Whisk together the sugar and enough juice to make a drizzling consistency until smooth. 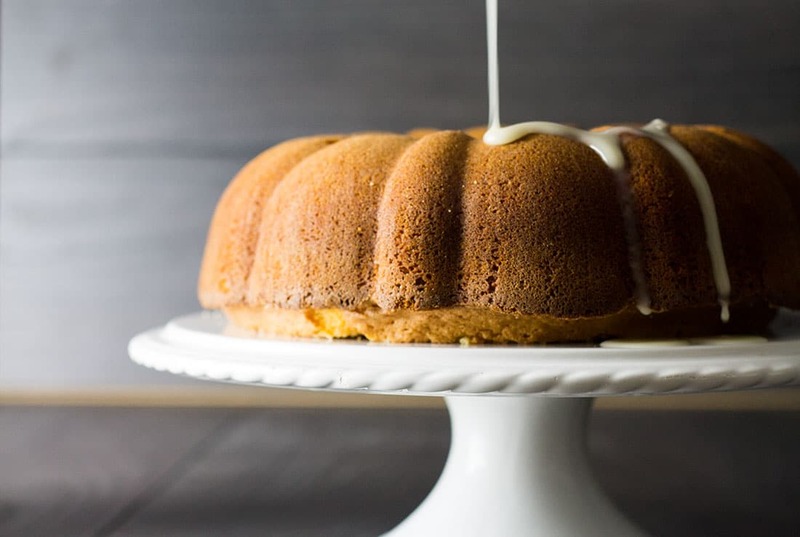 Drizzle onto the cooled cake. Made it, everyone loved it, I sifted ground lavender through the icing sugar for the glaze and served with with cooked syrupy strawberries. That is awesome to hear thank you, Tamra! Hi. This looks great! I was wondering, how do you take your flour? Straight from the jar or spooned and leveled? Thanks! Hi Ashley, I store my flour in a container that I can easily scoop from. I scoop a heaping scoopful and then level off. This is a wonderful recipe. It was a hit with my dairy free family members. Thank you so much for your feedback Lisa, I’m glad you enjoyed! What kind of olive oil do you use here? Extra virgin? Light? I’m wondering if extra virgin would be too strong of a flavor? Hi Shayla, I used Extra Virgin, but light works fine if you think the flavor will suit you better.